Her middle name Evelyn was given to her in retrospect of her aunt, Evelyn. Just after ten months of her birth, her mother got pregnant due to which her upbringing became a bit harder. Angela was sent to her aunt’s home, and she was brought up there in her initial days. After the separation of her parents, she, along with her mother and sister, relocated to St. Petersburg, Florida. She was a big fan of The Jackson 5 and dreamt of marrying any of them one day. Angela has earned a B.A. degree in African-American studies and a Master of Fine Arts degree from the Yale School of Drama. Her aunt was of the viewpoint that attaining Yale education on theater is a waste of time as well as money, but all these disagreements didn’t let her down. She feels proud of her decision of attending both the school and the college; as nobody has achieved this feat in her family before her. Angela met the love of her life Courtney B. Vance at Yale school, and their sweet love story started. Angela started her career on stage under the guidance of director Lloyd Richards. She was featured in the plays- Ma Rainey’s Black Bottom in 1984 and Joe Turner’s Come and Gone 1986 at Yale Repertory Theatre. After her successful appearance in some theatre plays, she got her debut in Television movie- Doubletake as a prostitute. In 1986, she made her film debut as a news reporter in F/X after which she was invited to attend the Screen Actors Guild Awards(SAG). She gained popularity after appearing in films titled Boyz n the Hood in 1991 and Malcolm X in 1992. Angela achieved stardom after starring in a four-hour American miniseries broadcast- “The Jacksons: An American Dream,” playing the role of Katherine Jackson (wife of Joe Jackson). It was her childhood dream of working and staying with The Jacksons, and besides getting so much disagreement and negative views from others, she listened to her inner voice and kept all the positive vibes with her. For her unique portrayal of Turner, she won a Golden Globe Award for Best Actress and moreover, was nominated for Academy Awards. She became the first African-American to win the Golden Globe Award for Best Actress in Motion Picture Musical or Comedy. In 1995, she was starred in various movies playing a different kind of characters in all- Vampire in Brooklyn, Strange Days, and Waiting to Exhale (with author Terry McMillan). 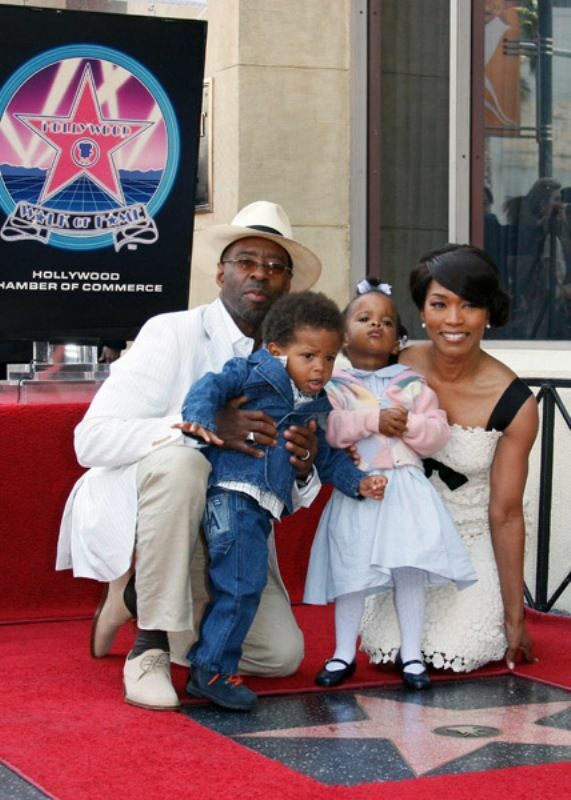 Angela and Courtney B. Vance tied the knot on October 12, 1997. The couple got blessed with twins named Bronwyn Golden and Slater Josiah by Surrogacy after Angela failed seven times in her fertility treatments. By the start of 21st century, Angela got the lead role in American drama film- Monster’s Ball because of the script’s sexual content for which her co-star Halle Berry got an Oscar as well as the Academy Award for Best Actress. In 2003, she became the UNICEF ambassador and also a supporter of the charity organization- Royal Theater’s Boys & Girls Club. She, along with her husband, co-authored book titled “Friends: A Love Story,” which is a memoir about their bond as a partner and struggles faced to become parents. Angela is a fitness freak and loves doing a workout. Her workout routine starts with a five-minute warm-up, then push-ups, followed by crab walk, and many more. In 2006, she was starred in the movie Akeelah and the Bee and played the role of Tanya Anderson, the mother of the film’s lead character. 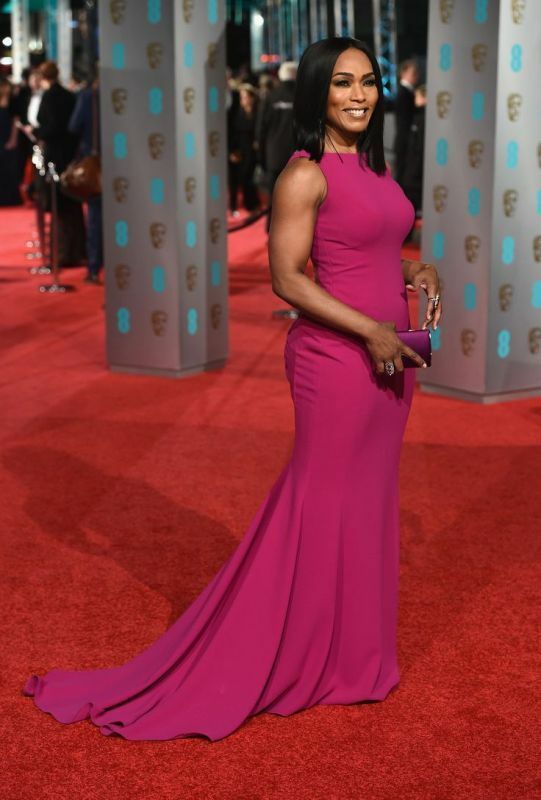 Angela got back-to-back roles in a plethora of hit films viz Gospel Hill in 2008, Notorious in 2009, Green Lantern and Jumping The Broom in 2011, This Means War in 2012. She got the honor to become the voice of First Lady Michelle Obama in the episode “Stealing First Base” of The Simpsons. Apart from doing an excellent job in theatre, films, TV, and as a voice artist, she did her directional debut in 2014 in “Whitney,” and directed a TV film based on the life of Whitney Houston. In 2015, she appeared in a British-American spy thriller film- Survivor representing Maureen Crane, the United States Ambassador to the United Kingdom. She appeared in an American action thriller film- London Has Fallen and in an American television period drama series- Underground in 2016 and 2017 respectively. In 2018, Angela has been starred in American superhero film based on the Marvel Comics character “Black Panther” in the role of Ramonda. Angela is equally active in politics as she participated as a black woman in the re-election campaign of Barack Obama and also supported Hillary Clinton in the 2016 election. In an interview, she talked about the changes observed in the Hollywood for black women and commented that there are even more opportunities emerging for them nowadays.